Our mobile phones connect us to everything we love. For information to communication, we can access virtually anything and anyone throughout the world with just a few taps of the screen. It’s amazing how many mobile phones have evolved over the past decade alone – let alone since their inception – but the biggest advancement undoubtedly was the invention of the app. Millions of apps are now available for download, with games comprising a large percentage of them. If you have an iPhone and you want to access the latest in portable gaming, then continue reading to discover the best games released in 2016 for iPhone users. If you enjoy RPGs and have a love of space, then you’ll absolutely find enjoyment in Crashlands for iOS devices. You play the role of a galactic trucker who finds himself stranded on an alien planet after a series of unfortunate events, and must fight your way through one struggle after another in order to retrieve all of your packages. Fight bosses, learn new skills and meet thousands of different locals in this exciting mobile RPG. Available on iPhone and iOS, Assassin’s Creed Identity in the latest instalment in the very popular video game series. In this mobile version, you’ll be able to play through many of the same storylines that were in previous PC & console versions of Assassin’s Creed. 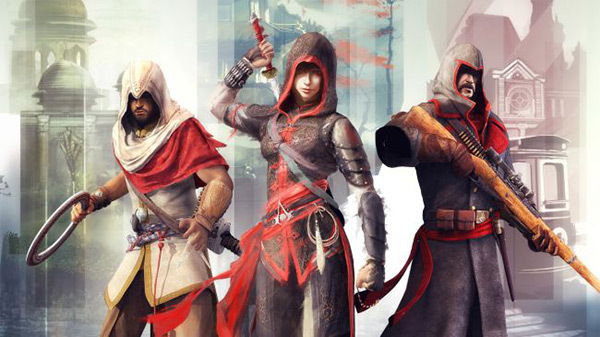 You’ll enjoy full customisation in building your very own assassin and training him to sneak, slash and save the day. Based during the Italian Renaissance, you’ll love the detailed and rustic graphics that present themselves throughout the entire game. Whether you enjoy mind-probing games or prefer playing a game of chance and luck like virtual bingo, you’ll find enjoyment in the play-style and story-line of Love You to Bits. Currently one of the most popular iPhone games on the market, this puzzle-based RPG features a cute storyline that utilizes a point-and-click interface to lead you from one world to the next. Mixing sci-fi with romance, the plot sends you on a mission to collect the pieces of your former lover that are scattered throughout the universe so that you can put her back together. After downloading Punch Club, you may recognise some similarities between it and a very popular boxing movie from years’ past. The story revolves around a protagonist who witnessed his father being killed and who is on a mission to find out the truth. Throughout the game, you must train, box and punch your way through enemies and levels in order to continue progressing. iPhone lovers will enjoy the interactive game-play that Punch Club provides, which is currently one of the most popular games on the market in 2016. Turning traditional platform game history on its head, Circa Infinity is a great iOS selection that melts the mind in terms of how you see ordinary gameplay. Based on a recursive circular platform level, you fight your way through a slew of enemies by jumping in and out of various circular platforms in order to progress through a seemingly never-ending maze of danger. With more than 40 different levels to navigate, you’ll spend hours mesmerised by the beautiful graphics and the hypnotising soundtracks.